Twickenham House, on Phoenix Mountain, is conveniently located near the town of West Jefferson, NC in Ashe County. Twickenham House is one of the most beautiful wedding venues in the High Country and we love having the opportunity to work there. At 4600' elevation, you're almost assured of cool summer days and crisp fall evenings. There are multiple gorgeous locations to create stunning images near the house as well as on the cliffs above the house. Twickenham House was established in 1999 and was built in the style of an Old English Manor. It has over 11,000' of beautifully decorated rooms that are designed for entertaining. It's perfect for any wedding gatherings. There is also a guest house and a gorgeous reception hall. 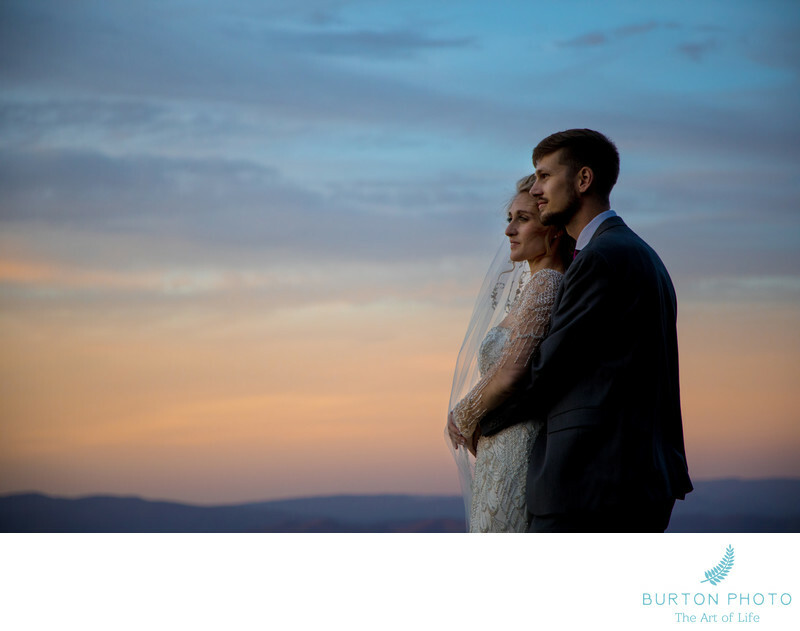 We took the couple in this portrait up to the cliffs at sunset to create the showpiece images that anchors their wedding photography collection. Phoenix Mountain is also known as 'the Rocky Mountain of the East' due to its 1.6-mile cliff face. From this vantage point, there are 50-mile long range views on the Blue Ridge Mountains. 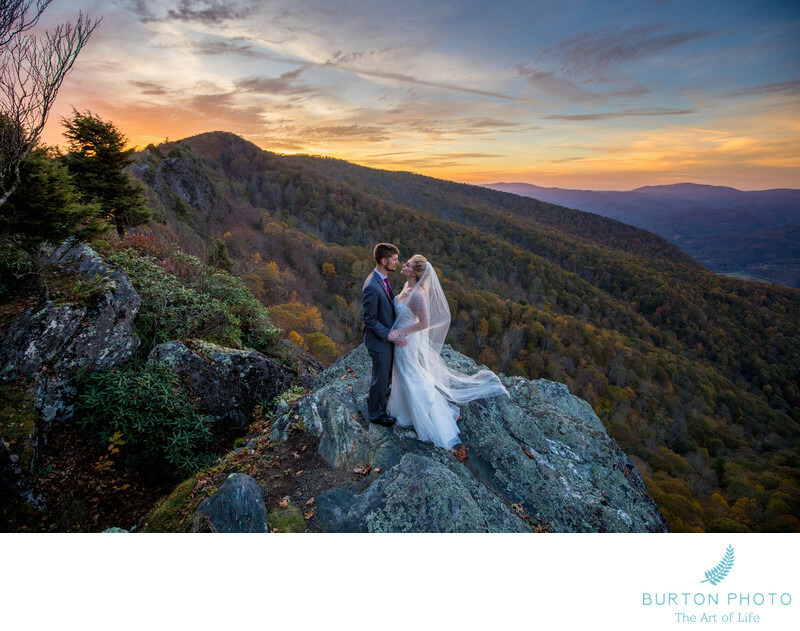 The sunsets are spectacular and we were gifted with a beautiful example of such a sunset the evening of this wedding. Since there are two of us shooting every wedding, we're able to take advantage of more than one vantage point. Here's another view - this image was created at the same time as the one above.